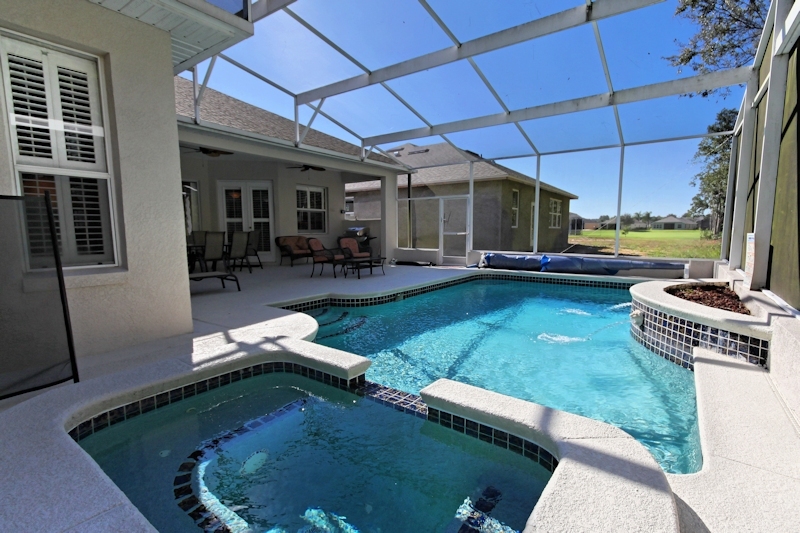 Hidden Paradise located in the gated golf course community of Ridgewood Lakes, just 12 miles from Walt Disney World. 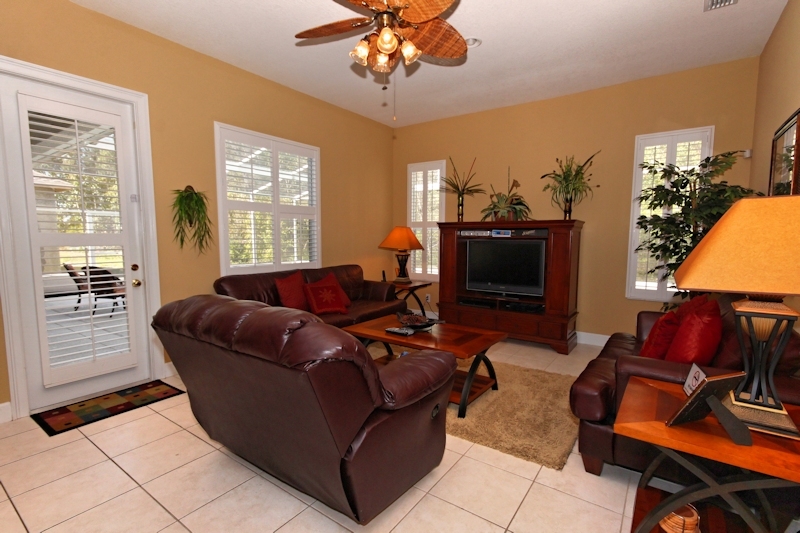 Enjoy peace and quiet away from the busy parks and enjoy the private pool and spa or game room. The spacious kitchen opens to the family room and is fully equipped with gourmet appliances, pantry and several small appliances. 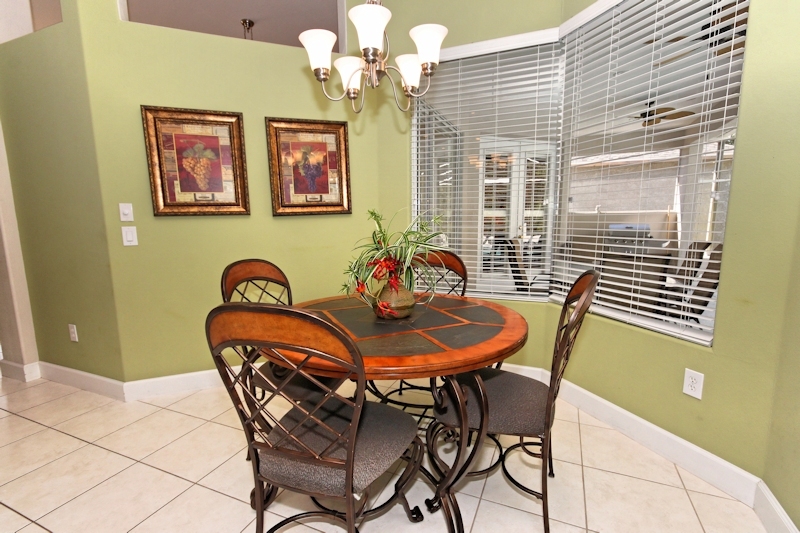 There is counter seating as well as breakfast nook with seating for four people. 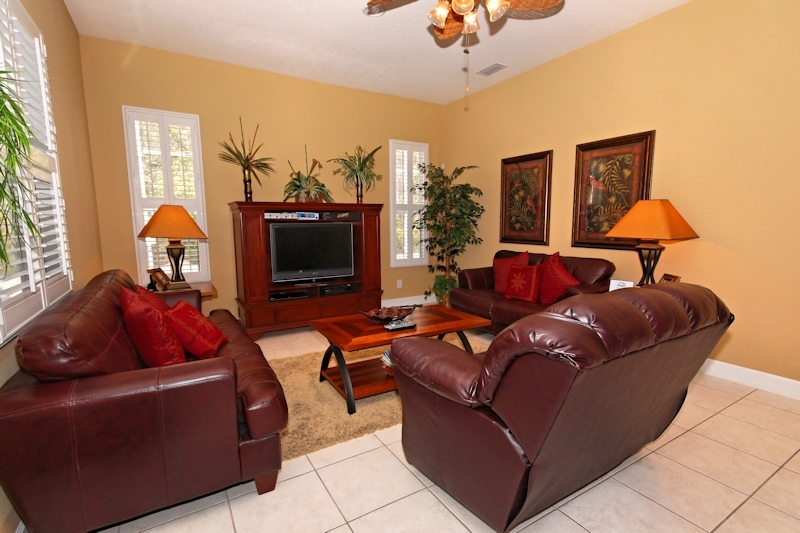 The family room overs comfortable leather sofas and a large TV in the family room with a Blu-ray player too. 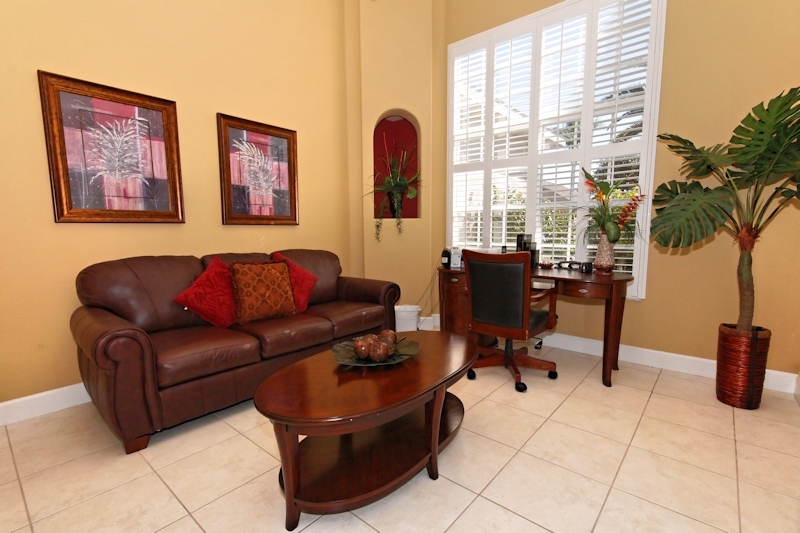 There is also a separate living room with additional lounge seating and an office with a pull-out sofa and workspace. 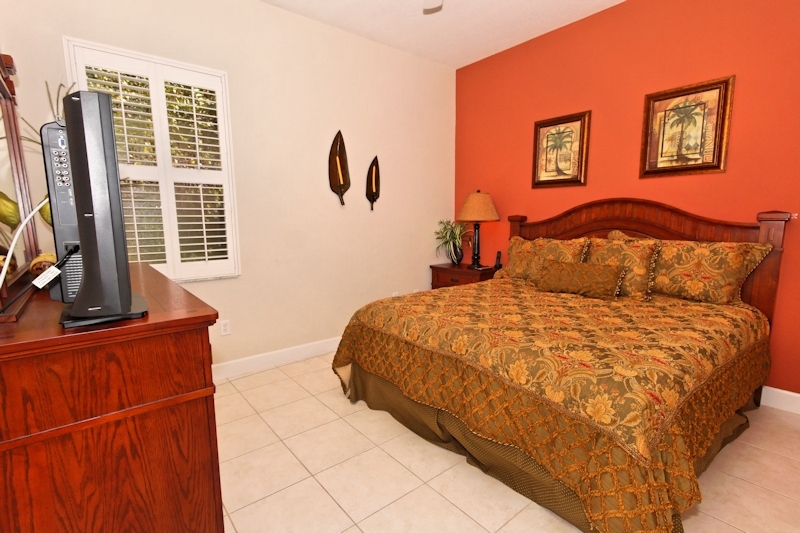 The master suite features a king-sized bed, walk-in closet, adjoining bathroom with garden tub, walk-in shower, twin basins, separate toilet, and is directly accessible to the rear pool and patio. 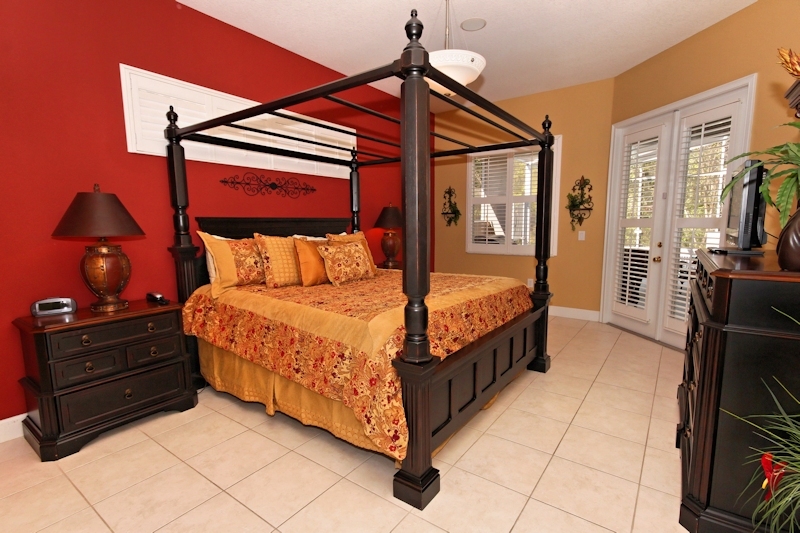 There is another bedroom with a king-sized bed, large cedar closet, and a bathroom directly next to it. 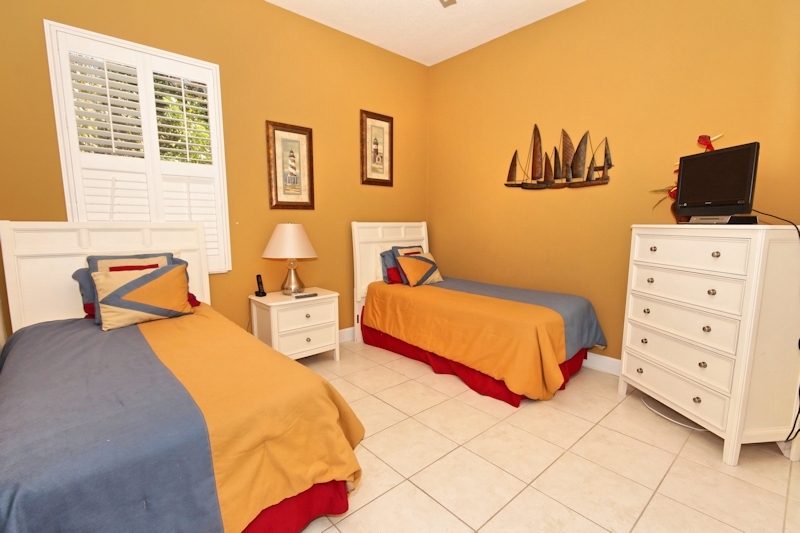 The two additional bedrooms each have two twin beds and share a Jack and Jill bathroom, which has a bath with shower, toilet and basin. 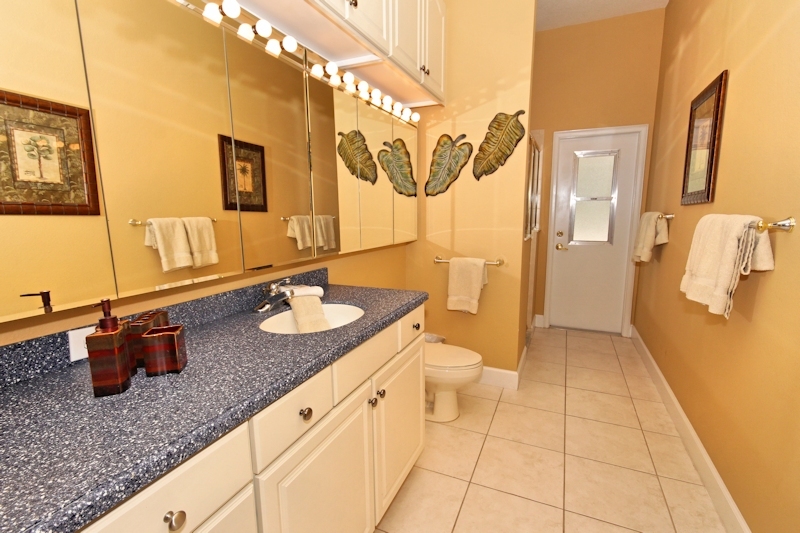 There is a fourth full bathroom located off of the kitchen with a walk in shower and outside access to the pool area. 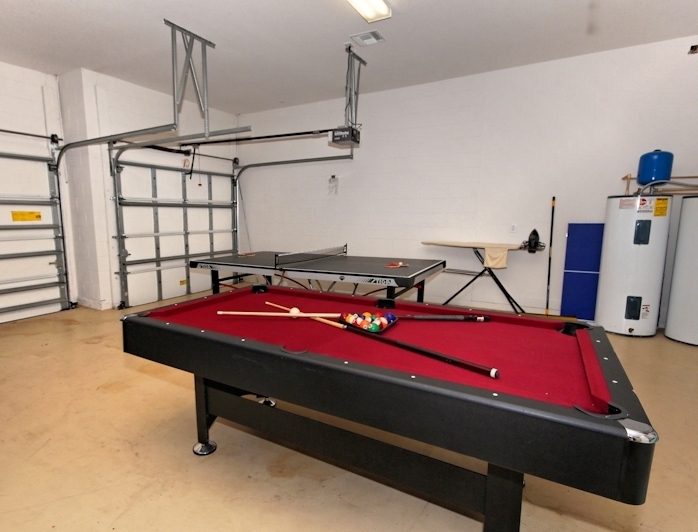 The property backs onto a green space offering privacy in the pool and patio areas. 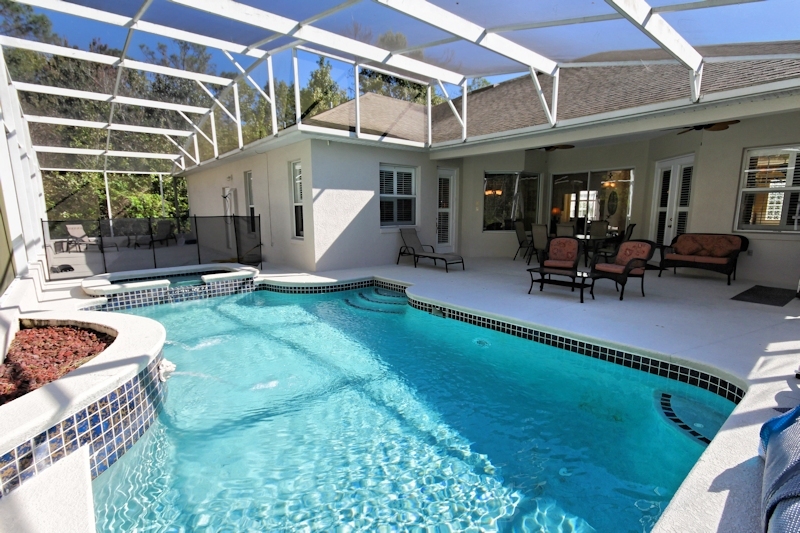 The pool can be heated and is enclosed with a screened lanai with a covered patio area for dining or to retreat from the sun. 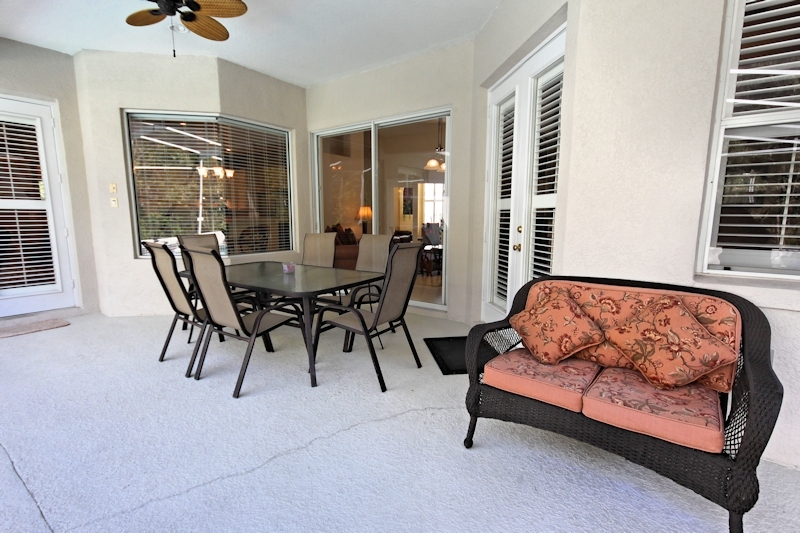 There is also an extended lanai section for those who want to soak up extra sun! 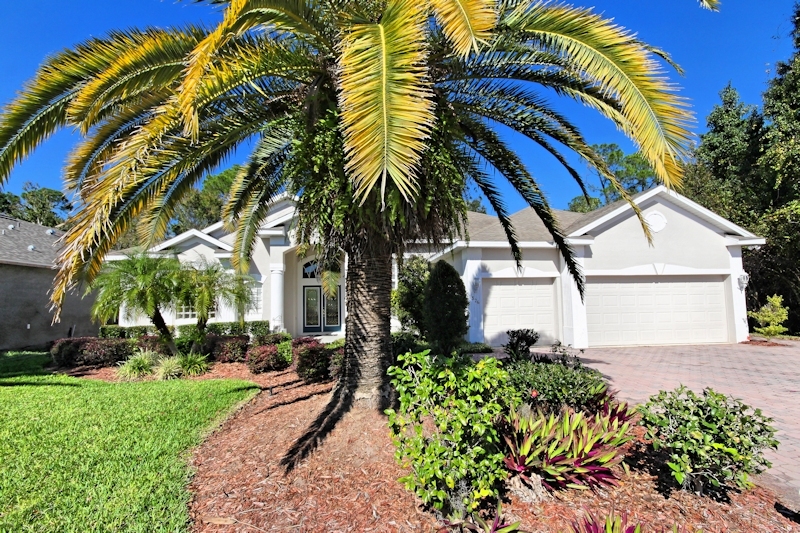 With a spacious interior, this home is well-equipped for up to eight people, and is conveniently located for local restaurants, shops and entertainment. It is also centrally located in Florida; the white sandy beaches of either the Gulf or Atlantic coasts are within equal proximity! 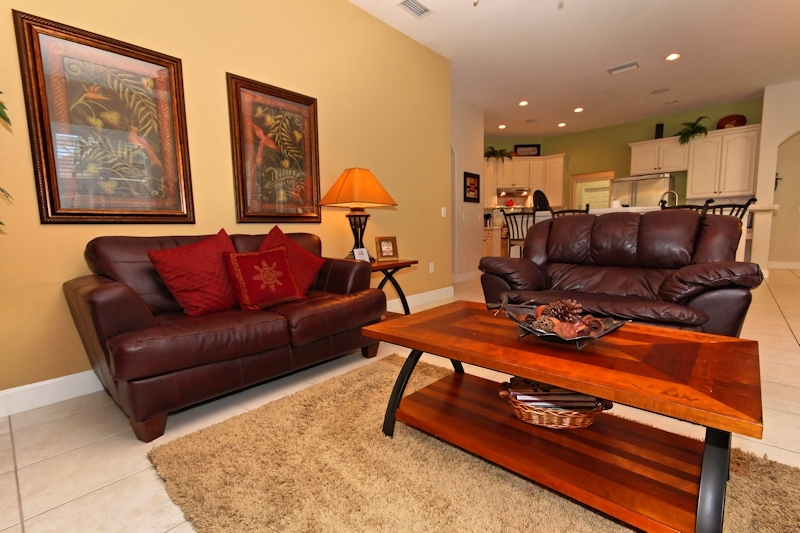 This wonderful vacation home is decorated to a high standard to give a homely and relaxing feeling. 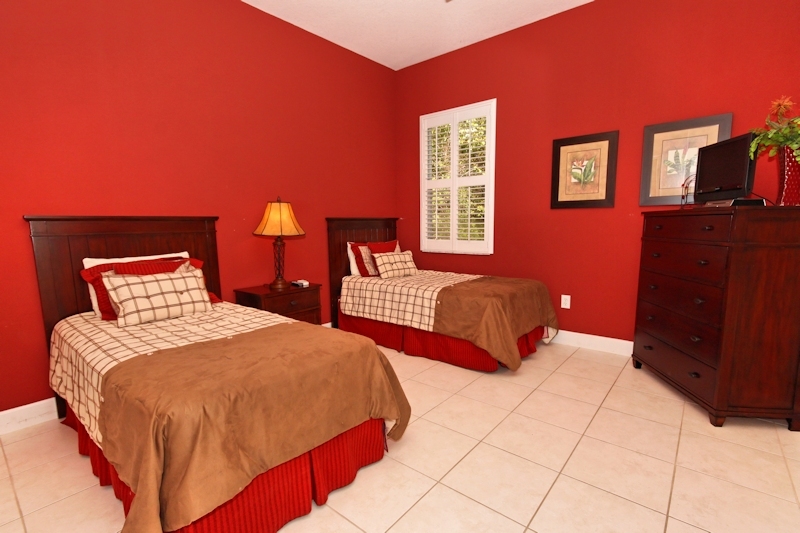 Hidden Paradise offers free Wi-Fi access, TV in all bedrooms and The separate utility room has a washer and dryer with ironing facilities.There is air conditioning throughout with ceiling fans and a game room. This probably was absolutely beautiful. I would highly recommend this property. I will definitely be back! Not our first stay with Spirit. This Management company lives up to what I consider to be a higher standard than other vacation rental firms. 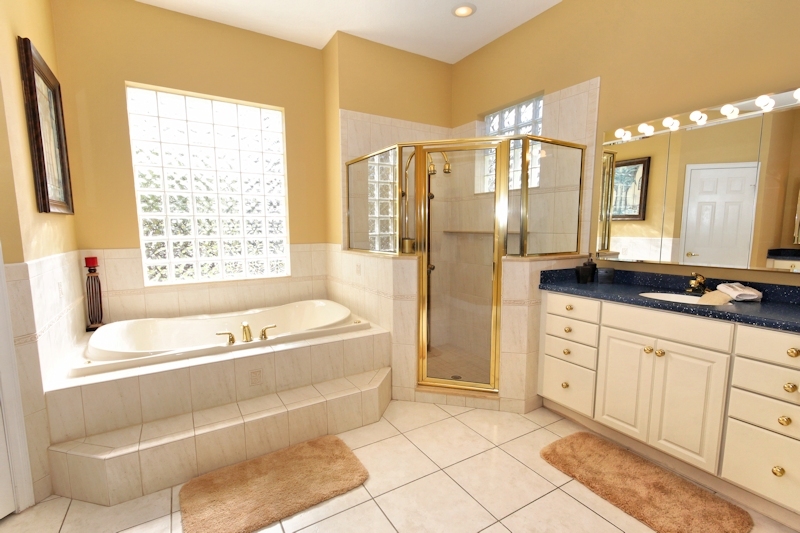 The house was very clean and even though some of the furnishings and electronics were dated, the home was very well situated for a private restful stay. If you are so inclined, the drive to the parks is around 30 mins. Once you figure out the route that isn’t clogged with traffic. Groceries and Walgreens is very close to the gated community entrance. We wanted to extend our stay and the process went seamlessly through the spirit office. Brian, one of the principals of this company, seems very knowledgeable regarding the real estate and rental market this area has to offer. I would highly recommend Spirit Vacation Homes. The kids loved the pool. The house was very roomy for the family and grandparents. What a beautiful house we had for the week. We had an issue the first day with not being able to find a remote and within an hour, here came a new TV and remote. The furniture was comfortable, especially the King beds!!! We left completely rested and refreshed and warm. If I had one suggestion, it would be to exchange the heavy stoneware china with Melamine. We are in our 70s and that dishware is heavy!!! Thank you for a great week. The property management company personnel is top notch!!! We really enjoyed our time there. The house was beautiful. 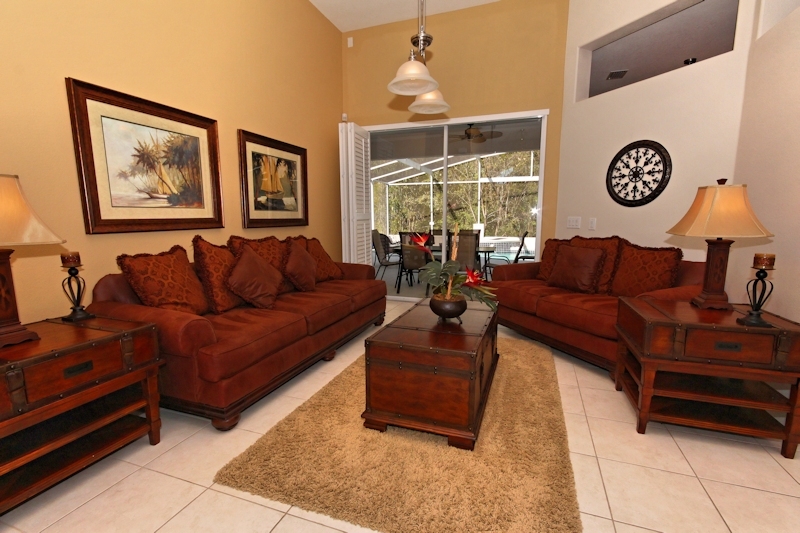 The house and location was perfect for our group .We were 8 persons...3 married couples and 2 singles and the house was perfect for 8 golfers. I can recommend the property. 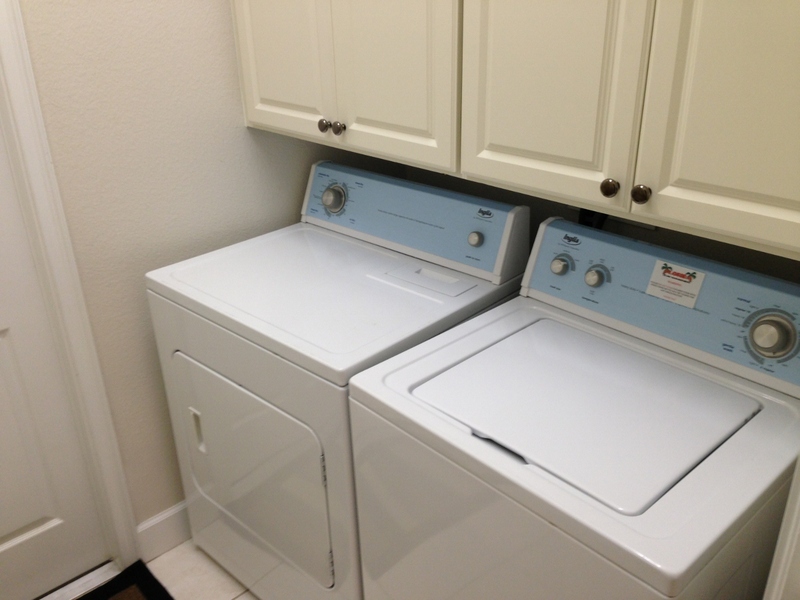 The house and pool was clean and well-maintained and good customer service. We truly enjoyed our time spent in this home! It is very nicely decorated and has a great floor plan so everyone has their own space but also room for everyone to be together. 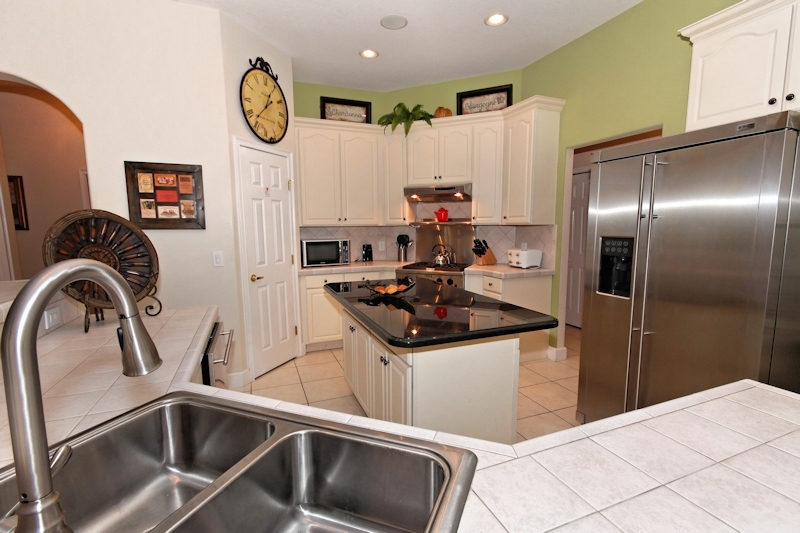 The kitchen is laid out well so that everyone can take part in food preparation. 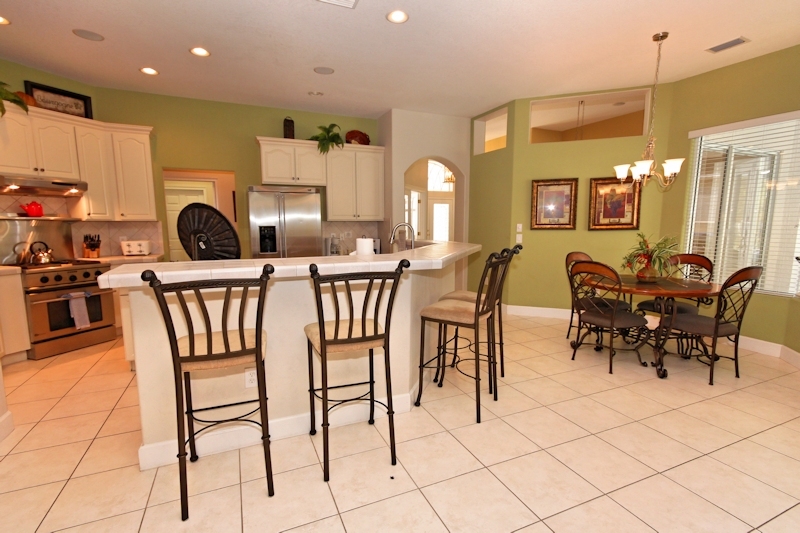 The gated community is quiet, close to shopping and restaurants with easy freeway access. The Florida Spirit Staff was very helpful on both occasions when we called and quick to send someone to assist when needed. 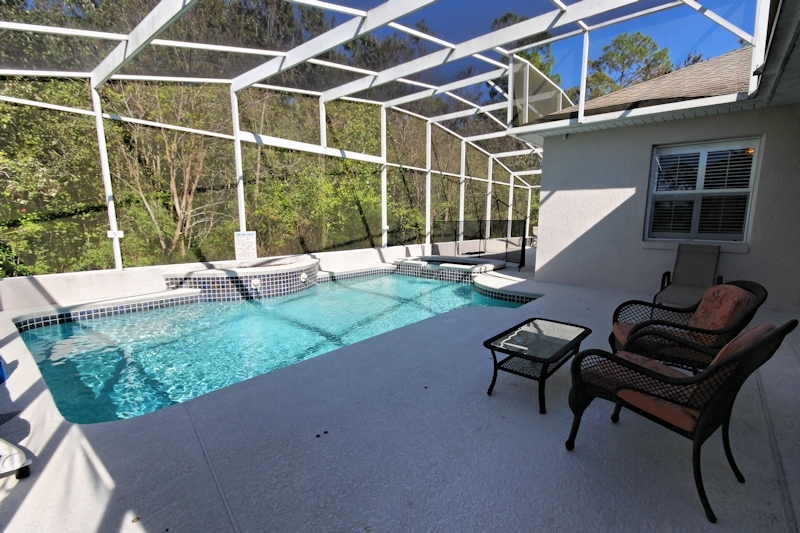 We would come back to this home if planning another visit to Orlando.